Height: 6 1/4" Diameter: 3 1/4" Handle Length: 3 1/2"
This handbell is made from highly polished solid brass and has a New England hard wood handle. This bell makes a wonderful sound, which makes it perfect for musical performances. 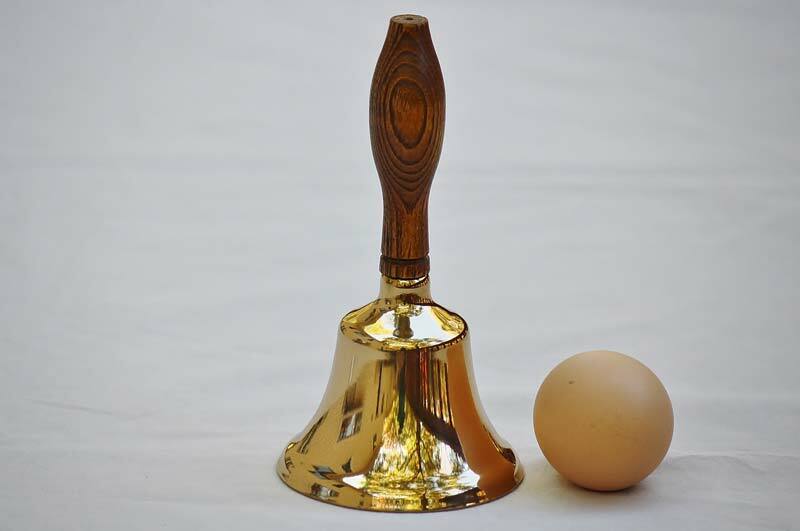 The timeless look of this hand bell is reminiscent old churches and handbell performances.